It has been a tradition to cook with oil in many cultures, especially in the West. Whether it’s deep frying, sauteeing, baking, or even adding oil to raw foods like salads, habits historically pointed to adding liquid or solid fats to foods. Scientific findings are increasingly suggesting that dialing down on all fat sources would be a good idea. So lately, I have been cooking with oil-free sauces, and it’s been much easier than I thought. 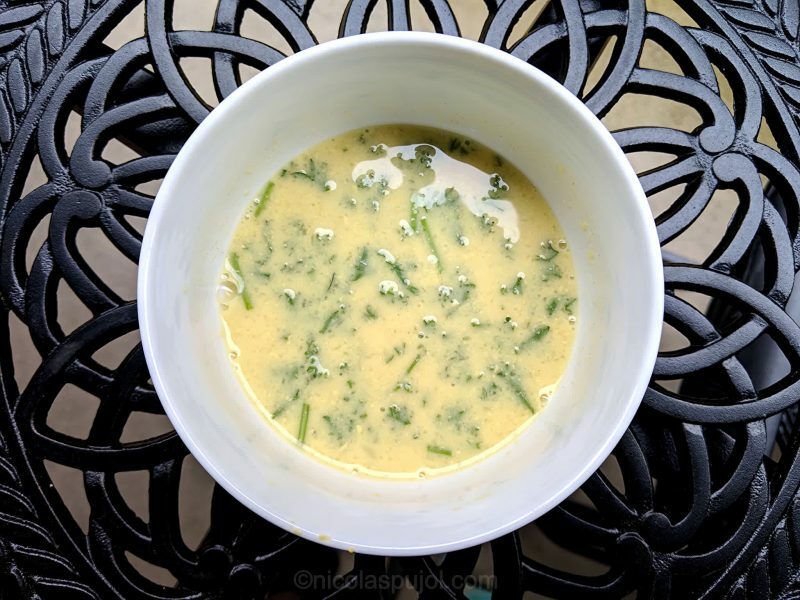 This post is a roundup of my favorite oil free sauces and dressings. What does science say about cooking and eating oil-free? Science is, and will for a while remain divided. So we can look at populations first, for example the millions of people living in Okinawa Japan. Okinawa is located in the Southern tip of Japan, and the region hosts some of the longest lived communities on the planet. They have the highest concentration of centenarians, and many of them live in their home, independently. In the Okinawa Program as well as The Blue Zones, authors highlighted that Okinawa cuisine tends to be on the lower side of fat. Dr Wareham, who lived in the US to age 104, noted that he ate a vegan, low fat diet, and that the two researchers who were able to reverse heart disease to this day are Dr Ornish, and Dr Esselstyn, and that they both did this, on a vegan, low fat diet. I found the books of both these doctors scientifically sound, and I warmly recommend that you read them as well. A legitimate concern when replacing oil with another ingredient, is the whether the alternative is better or worse than the oil. I believe that in most domains, we have to use good judgement, and that without good judgement the replacement may not bring the outcome we want. I would not recommend anything artificial. Avoid anything that is fake oil, just like I avoid fake sugars for the same reason. It is also important that what we cook satisfies us in terms of total energy intake. Oil is very dense in energy, so when you remove oil from your ingredients, you either reduce total calories or you eat more of something else. It is also a matter of good judgement to decide if your diet needs to lighten a bit in caloric intake – ask your doctor or nutritionist. In addition, I believe that lasting changes need to bring pleasure, so I hope some of the recipes below will give you the flavors, aromas that you love, and enhance the salads and substantial ingredients that you add these dressings on. These can be rice, pasta, beets, beans, green leafy vegetables, the list of fresh produce is endless. 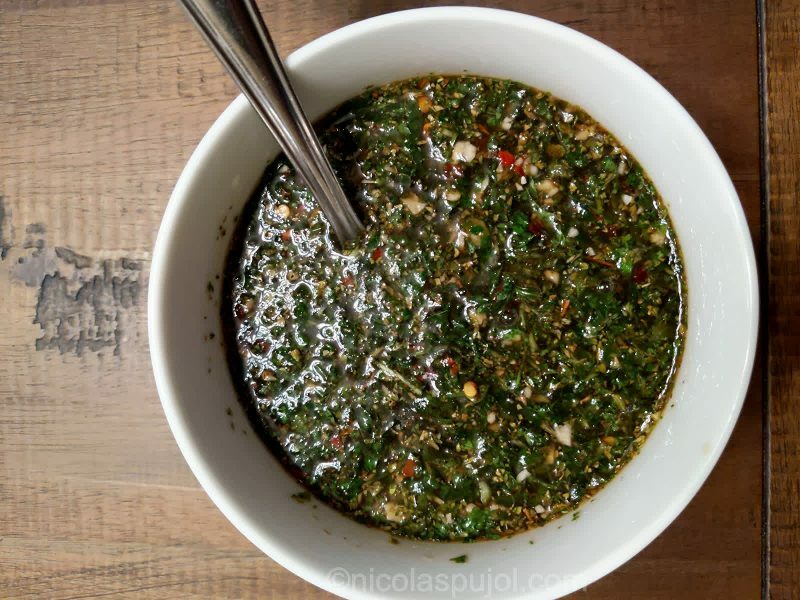 Chimichurri is perhaps the most popular sauce in Latin America. There are many variations in the ingredients that it uses, and most often includes parsley, green onions, basil, oregano, and a combination of vinegars. I could eat chimichurri with almost anything, from the traditional empanadas to salads, or even dipping bread in it. This recipe is the oil-free version. I did this dressing for a pasta dish, for which I wanted to use no butter or oil. This sauce has aromas of fresh basil combined with the Asian spices of chili garlic hot sauce. My classic recipe for this dressing uses olive oil. It is the dressing I grew up with in the South of France. This variation removes the fat, and instead focuses on the freshness of lemon juice and French mustard. I find that combining the two gives plenty of saltiness, and the garlic adds plenty of spice to the dish you are using it with. Make sure you are using authentic French mustard. This is the “secret” of this recipe, and it makes a big difference. Sometimes, the sauce is already made and needs nothing else. Not only do I believe that cooking and recipes can be easy. Sometimes they can be so simple that your sauce is the vinegar, or fresh lemon juice. 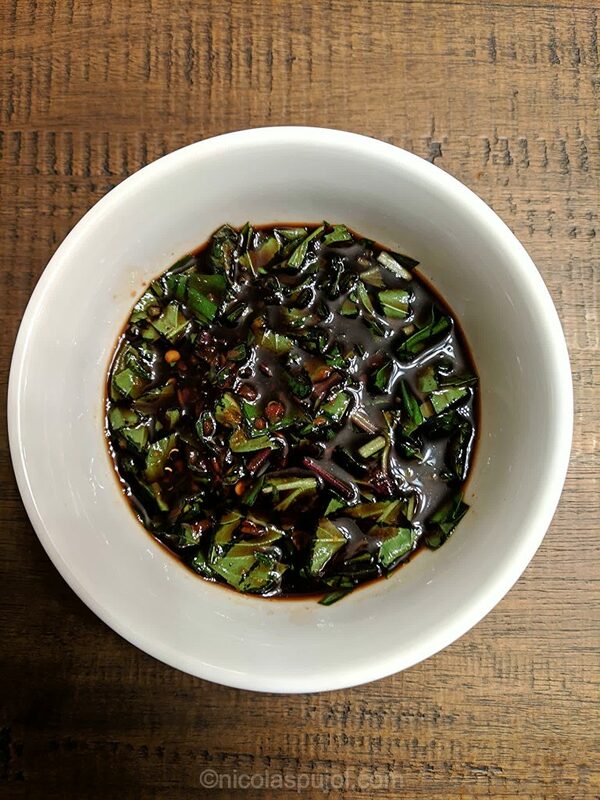 Balsamic vinegar combines the acidity of vinegar with a tad of sweetness, and is perhaps the best vinegar to use as is, as a sauce or dressing. Just like balsamic vinegar by itself can make a wonderful dressing, the same goes for pure lemon juice. You can use lemon juice raw over salads, rice, garbanzo beans, spinach (cooked or raw), and you can also use lemon juice for cooking. 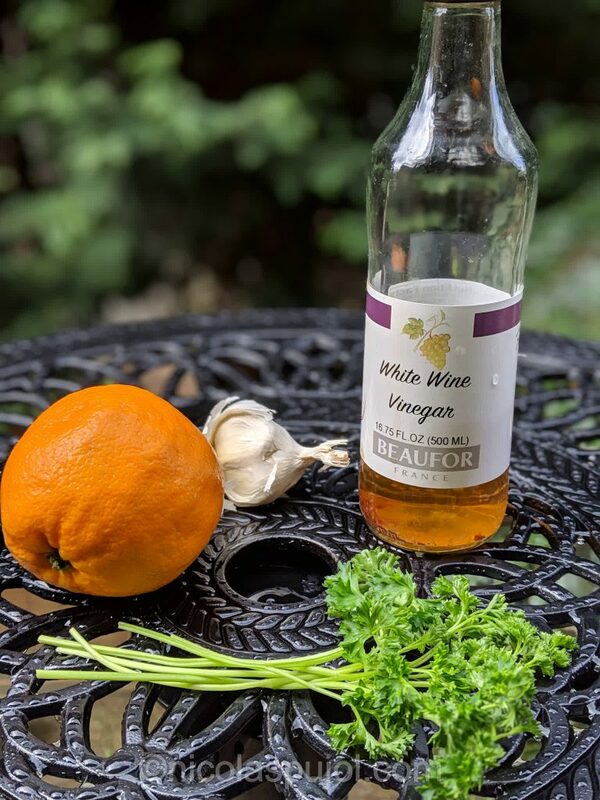 If you are looking for a milder or sweeter sauce, orange vinaigrette may be the right pairing for your salad or dish. 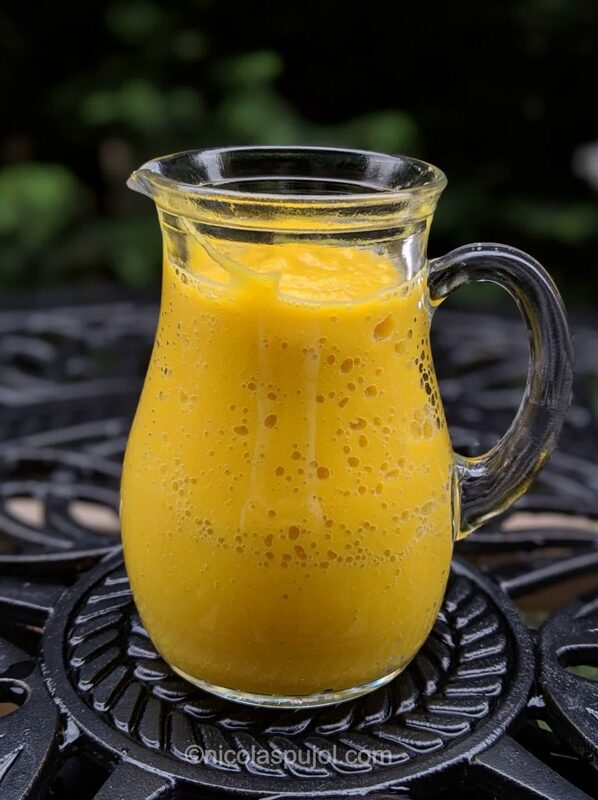 Oranges are sweeter than lemons and produce more juice per unit. 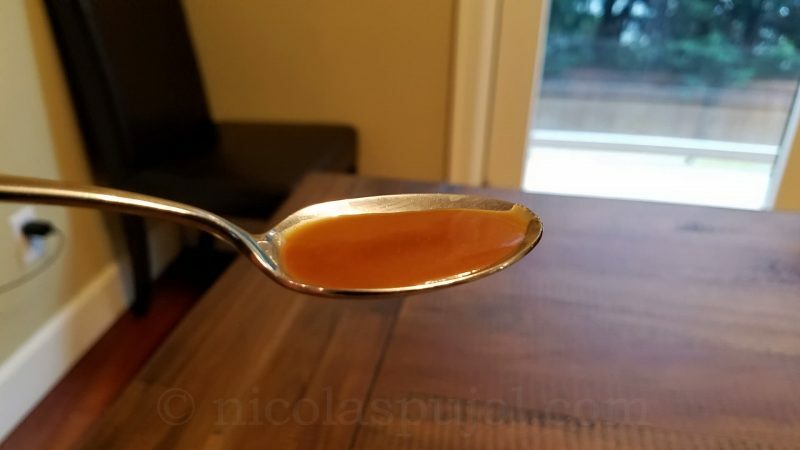 You can also make this dressing sweeter by adding honey or maple syrup, or spicy by adding hot sauce. 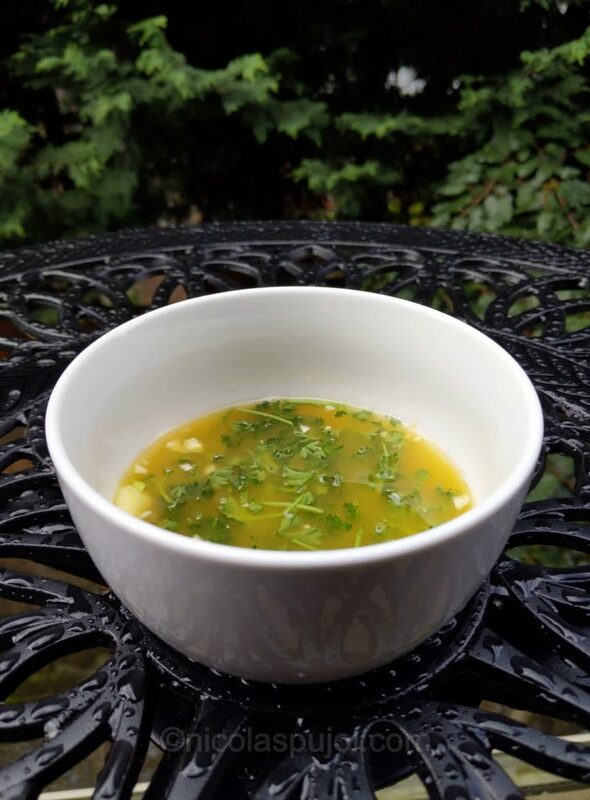 Another delicious sauce comes from my friend Motoko with her Japanese wasabi sauce. We were exchange students, as I met Motoko while living in Japan. The next year she came to Lyon to study as well, and she made this sauce during get together events. Very spicy, true to Japanese flavors, and simple to make. Over a sliced avocado, or rice, or other foods, this is your go-to dressing to up flavors into wasabi levels. This thicker dressing pairs with so many dishes: pasta, rice, grains, vegetables, salads of course. First time my kids saw the dressing they asked: what is it made of?